Property Info: 1BR/1BA condominium home with 700+ sq. ft. 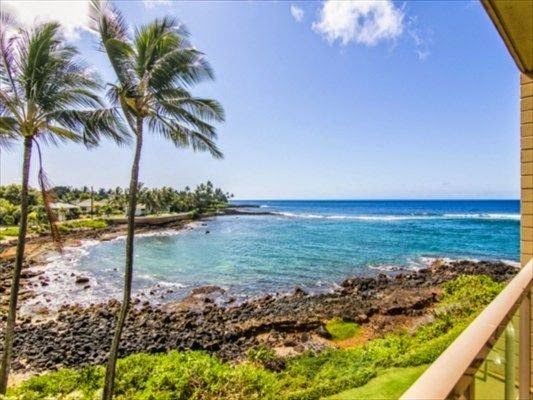 This incredible Poipu oceanfront condominium home overlooks the Prince Kuhio bay on the island of Kauai in Hawaii. This one-BR, one-BA vacation home will fill your senses and renew your spirit with Kauai's natural beauty. With whitewater coastline views, you'll enjoy the relaxing island lifestyle while watching the Hawaiian green sea turtles just off the lanai! On the other side of the property comlex is a local surf-break ("PK's"), an exceptional surfing spot that also affords excellent snorkeling that can be enjoyed year round! This home is currently in the Kuhio Shores rental program. Beach Club Condominium For Sale, Gulf Shores AL Asking Price: $515k Property Info: 3BR, 3BA Gulf-front condo with 1250 sq.ft. Address: 527 Beach Club Trail, Gulf Shores, AL 36542 This is a corner unit with magnificent Direct Gulf Views from the living area & master bedroom! The wrap-around balcony spans the width of the master bedroom/living room plus..